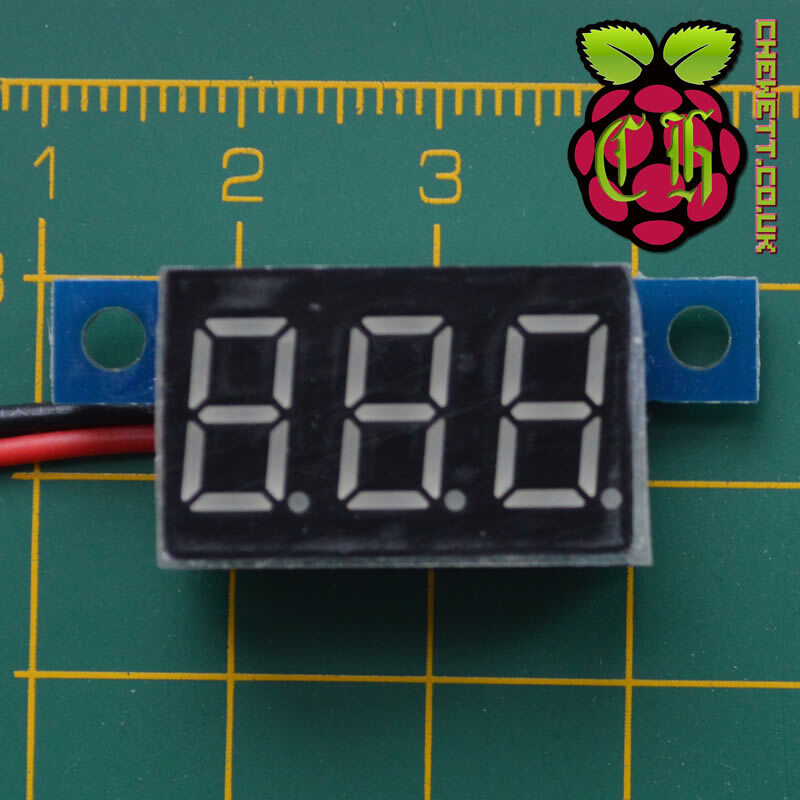 This voltmeter is a simple LCD display showing the current voltage. This is to be used with a low to medium voltage circuit, rated at between 3.3 and 30 volts. The voltage range makes it perfect to keep track of the voltage used by small circuits such as Arduino or Raspberry Pi electronics which typically operate on 5 volts supply. One use of this is monitor the voltage in a battery. When using certain Lithium Polymer (LiPo) batteries it is important to ensure their voltage does not fall below the minimum voltage. To measure the current voltage of any component you place this in parallel to it. Therefore to measure the voltage of a battery you connect the voltmeter to the positive and negative terminals of a battery. Using this you can keep an eye on the current voltage of your battery to ensure you do not discharge it past the recommended levels. Originally this item came with a stranded wire on the end. This works well for permanent circuits soldered to a PCB but didn’t work well with my prototyping breadboard. I improved its usability with a breadboard by soldering some breadboard pins to the end and wrapping it in heatshrink. 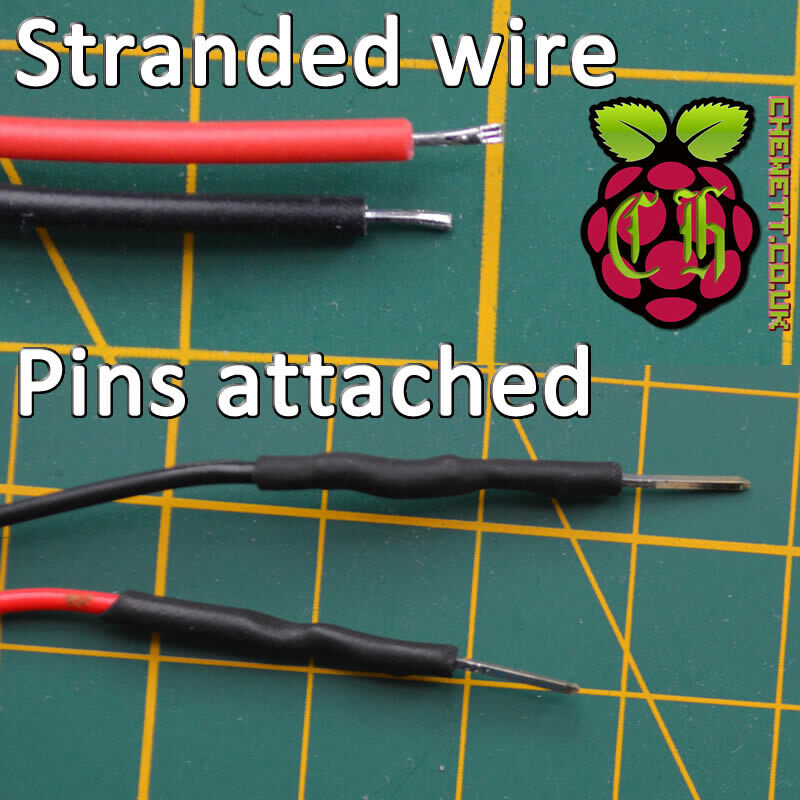 Here I used a small burner to heat up the heat shrink to insulate the wire. Once this was accomplished I was able to use it on a breadboard much more easily. The breadboard pins work a lot better to push it into the breadboard. Using this I was able to measure the voltage across a number of components while working with the breadboard and Arduino. The advantage of using this is that you can permanently monitor the voltage of a circuit. The LCD display works well both under light or in the dark as it is relatively bright. With the ease of being able to attach the device to both a breadboard and PCB this digital display works well for low voltage circuits. I would definitely recommend this sensor to add to any project requiring a display of the voltage of a battery or component.